Painting my nails was not a chore today but instead it was an experiment. I had been watching some YouTube Videos on how to perfect the way nail polish is supposed to be done. 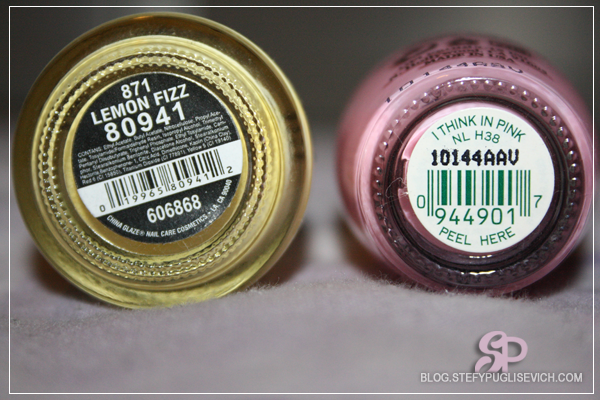 With that in the back on my mind, very fresh I hunted down my Square Short NAILENE Glue On Nails and Chose two Nail Polishes. I was inspired by this barbie pink from a Client who was sporting a similar colour yestersday. 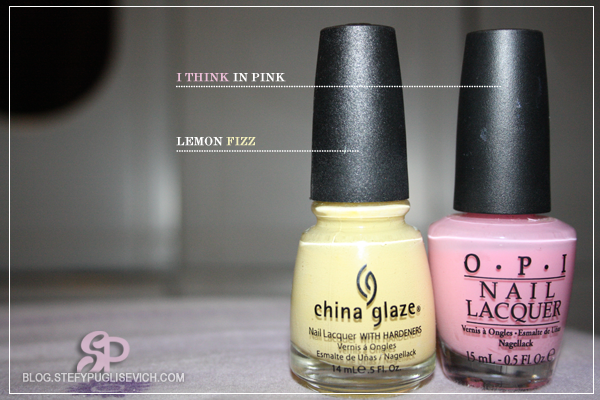 I also wanted a pop of colour on my ring finger, so why not go for something bright and in fashion which is yellow. I LOVE the combination of the two and if you all follow me on Instagram you would have seen these nails already! 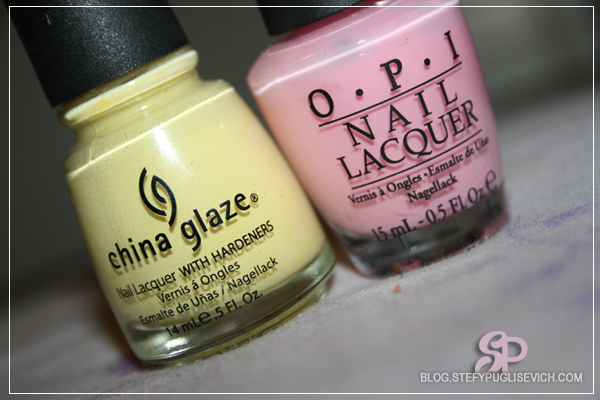 I Think In Pink is a light pink that is buildable, not streaky and dries pretty fast. Lemon Fizz on the other hand is very opaque and streaky, I had to be careful with this one as it wasn't giving me the smoothest application like O.P.I did. I am currently testing these NAILENE GLUE ON NAILS again and seeing the staying power as it is another way of having neat nails without the bruising that i tend to get with acrylic or gel nails! HAVE YOU PAINTED YOUR NAILS? I love those candy colors! I adore the yellow, I have been wanting to buy one for a long time, but so unsure about it against my skintone. It looks great paired with the pink!